We collect information that you give us. We receive and store safely any information when you create an account ID, purchase our products or services, download a software update, contact us or participate in an online survey. We collect automatic information. We receive and store certain types of information whenever you interact with us. We collect information used in e-mail communications. To help us make e-mails more useful and interesting, we often receive a confirmation when you open e-mail from our e-shopping website if your computer supports such capabilities. We also compare our customer list to lists received from other companies, in an effort to avoid sending unnecessary messages to our customers. We collect information from other sources. We might receive information about you from other sources, which are duly authorized by yourself to transfer such information to third parties and add it to our account information. The personal information we collect allows us to keep you posted on our latest product announcements, software updates, and upcoming events. If you don’t want to be on our mailing list, you can opt out anytime by updating your preferences. We may use your personal information to repond to your inquiries and fulfill your requests. We may use your personal information, including date of birth, to verify identity, assist with identification of users, and to determine appropriate services. For example, we may use date of birth to determine the age of user account holders. From time to time, we may use your personal information to send important notices, such as communications about purchases and changes to our terms, conditions, and policies. Because this information is important to your interaction with us, you may not opt out of receiving these communications. Non- personal data such as occupation, language, zip code, area code, unique device identifier, referrer URL, location, and the time zone where one of our products is used so that we can better understand customer behavior and improve our products, services, and advertising. Details of how you use our services, including search queries, which may be used to improve the relevancy of results provided by our services. Except in limited instances to ensure quality of our services over the Internet, such information will not be associated with your IP address. With your explicit consent, we may collect data about how you use your device and applications in order to help app developers to improve their apps. You may configure your browser to accept all cookies, reject all cookies, or notify you when a cookie is sent. Each browser is different, so check the “Help” menu of your browser to learn how to change your cookie preferences. For example, on Microsoft Internet Explorer you can disable or delete cookies by selecting “Tools/Internet Options”. We do not share personal information with companies, organizations and individuals outside of TCT unless one of the following circumstances applies. TCT may share personal information with your consent. We may disclose personal information to our affiliates when necessary to perform services on our or on your behalf. We cooperate with companies and individuals to perform functions on our behalf. Examples include fulfilling orders, delivering packages, sending postal mail and e-mail, removing repetitive information from customer lists, analyzing data, providing marketing assistance, providing search results and links (including paid listings and links), processing credit card payments, and providing customer service. They have access to personal information needed to perform their functions, but may not use it for other purposes. protect against harm to the rights, property or safety of our users or the public, as required or permitted by law. We will endeavor to take all reasonable physical, technical and organizational measures and procedures to safeguard and secure the personal information we collect through our products and our website. We restrict access to personal information to our employees, contractors and agents who need to know that information in order to process it for us and who are subject to strict contractual confidentiality obligations. They may be disciplined or their contract may be terminated if they fail to meet these obligations. However, these measures do not release you from taking appropriate steps to keep your personal information safe and secure, in particular by avoiding obvious user ID’s or passwords, by ensuring that you do not disclose your password(s) or grant any other person access to your user account and your personal information, and any other protective measures applicable. Regarding transparency, our goal is to be clear what information we collect, so that you can make choices about how it is used. Any personal information or content that you voluntarily disclose while using our website or devices and which can be viewed by members of third party applications or sites (such as chat areas, in messages), becomes publicly viewable and can be collected ,viewed and used by others. You are responsible for the personal information you choose to share or submit in these instance. The current version is dated Feb 10, 2017. To provide location-based services on TCT products, TCT and our partners and licensees may collect, use, and share precise location data, including the real-time geographic location of your device. Where available, location-based services may use GPS, Bluetooth, and your IP Address, along with crowd-sourced Wi-Fi hotspot and cell tower locations, and other technologies to determine your devices’ approximate location. Unless you provide consent, this location data is collected anonymously in a form that does not personally identify you and is used by TCT and our partners and licensees to provide and improve location-based products and services. For example, your device may share its geographic location with application providers when you opt in to their location services. TCT websites, products, applications, and services may contain links to third-party websites, products, and services. Our products and services may also use or offer products or services from third parties. Information collected by third parties, which may include such things as location data or contact details, is governed by their privacy practices. We encourage you to learn about the privacy practices of those third parties. You can access, review and edit your personal information at any time by logging into your user account, visiting your user profile or by contacting us directly. Should you require us to edit or delete your personal information, we may ask you to provide us with evidence of your identity before we can act on your request. Under certain jurisdictions and data protection laws, you may have the right to request details of your personal information which we hold about you or to request the correction or deletion of your personal information. Please help us to ensure that the personal information that we hold about you is accurate and up to date. 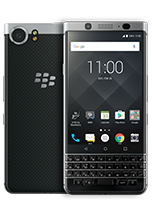 If you think that any personal information we have stored about you is incorrect or incomplete, please contact us at privacy@blackberrymobile.com or write to our customer services department. All communications are examined and replies are issued where appropriate as soon as possible. If you are unsatisfied with the reply received, you may refer your complaint to the relevant regulator in your jurisdiction. If you ask us, we will endeavor to provide you with information about relevant complaint avenues which may be applicable to your circumstances.